Asbestos fibers can remain in the air for days after being disturbed, resulting in invisible and potentially deadly contamination in your home or business. Getting asbestos abatement in Lakewood CA will prevent the release of additional airborne asbestos fibers and help improve health & safety conditions on your property. 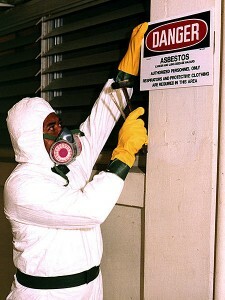 You can choose encapsulation, enclosure, or removal as your method of asbestos abatement in Lakewood CA. The encapsulation method will result in asbestos-containing materials being covered with a sealant. An example of enclosure would be placing an airtight drop ceiling below an asbestos-containing popcorn ceiling. Both enclosure and encapsulation are temporary solutions and will have to be monitored and refreshed periodically to ensure effectiveness. If you want a permanent solution, you should go with asbestos removal.